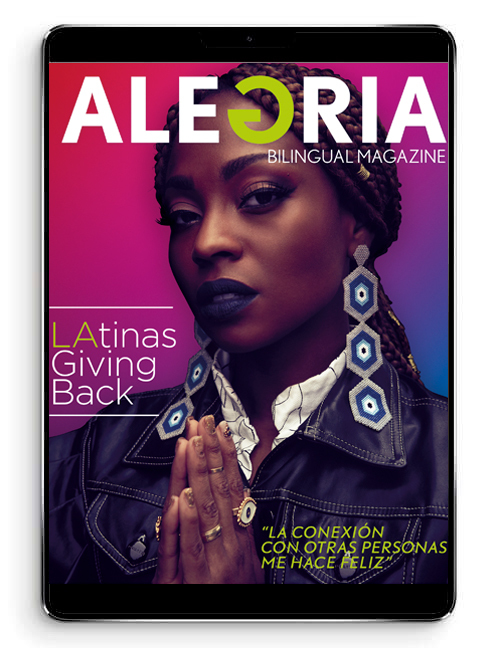 The future of entertainment is now here with Virtual Room – the best virtual reality Los Angeles has to offer families, friends, corporate and party groups. 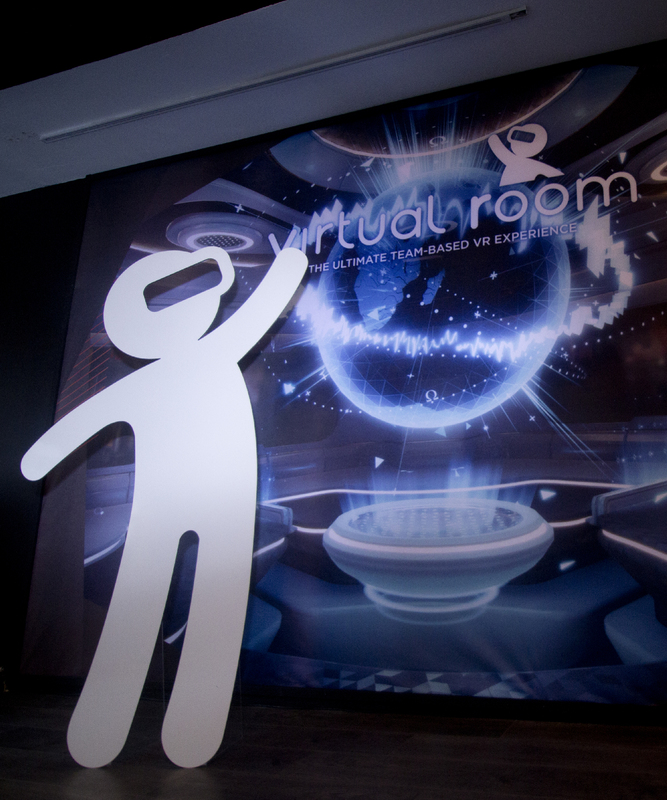 Virtual Room is one of the world’s only collaborative or team-based virtual reality experiences. 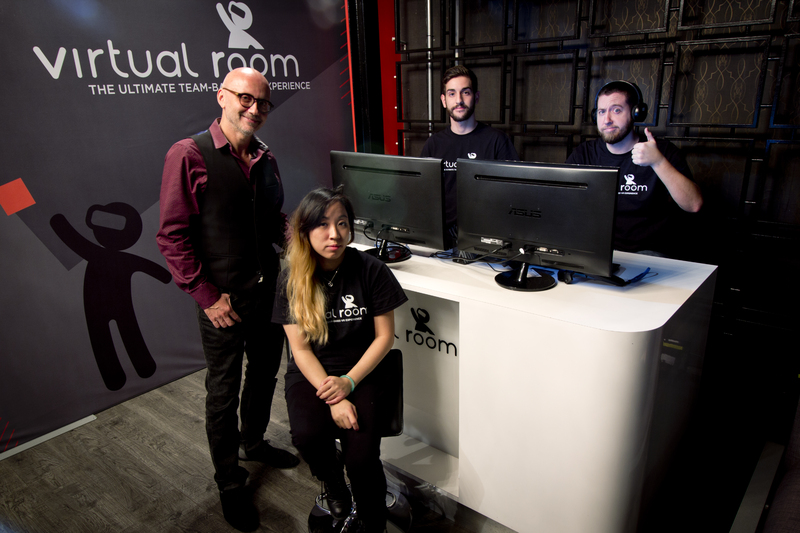 While most current virtual reality (VR) experiences only allow one person to play for 2 to 10 minutes, Virtual Room offers a unique possibility: an immersive virtual reality experience for several people working together as a team, for up to forty-five minutes! 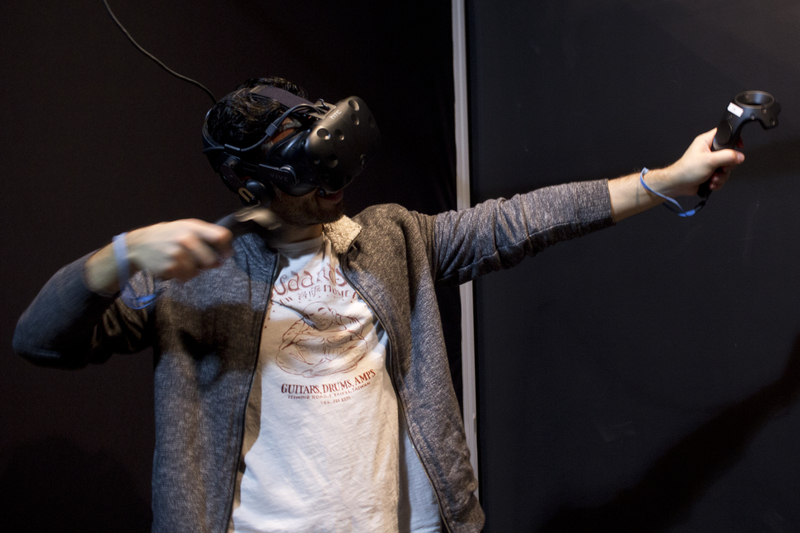 Experience a truly exhilarating and mind-blowing adventure with your friends, family, or colleagues as you communicate and work together in a totally realistic virtual world. Each player has their own dedicated room, specially designed and equipped with the latest virtual reality gear (HTC Vive). You will participate in the game standing up and will get to move around, search for items, manipulate objects and collaborate with your fellow team members. 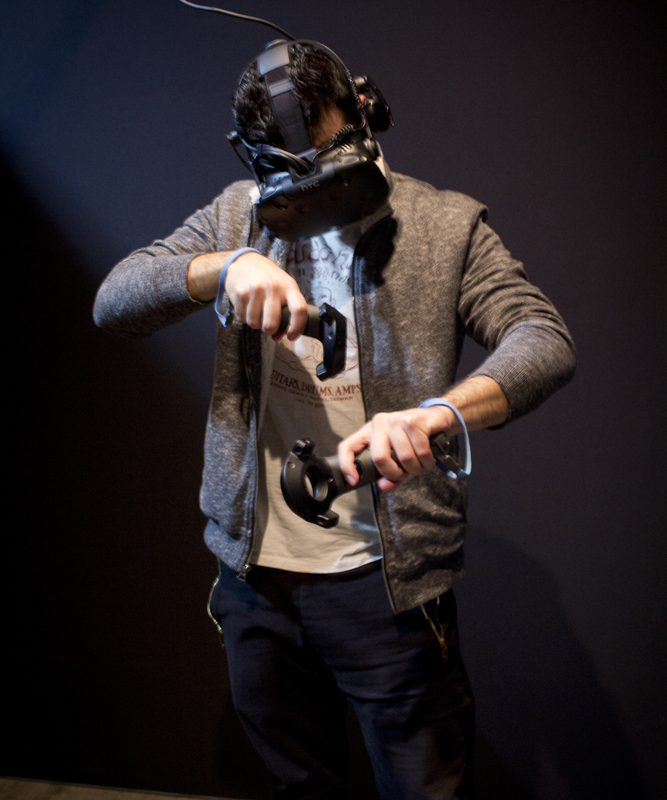 The HTC Room Scale Virtual Reality experience allows you to explore worlds in a way that’s never been possible before. Your movements are fully tracked in the virtual world, combined with the maximum usable space we offer in our specially designed play areas, you get the full experience, and nothing less.